“Come and See” a new thing God is doing at Abiding Presence: Lent Small Groups! 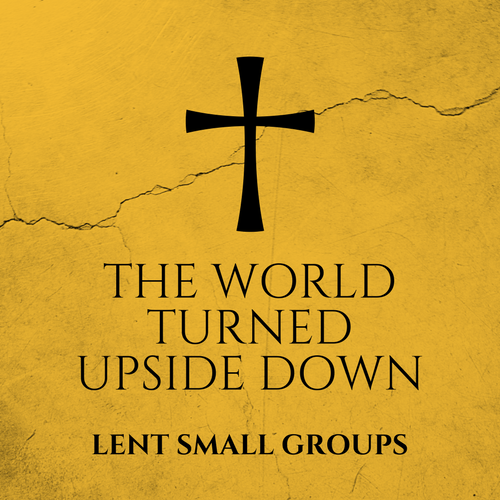 Small groups will be meet for five weeks during Lent to listen, share and reflect with one another as we grow in relationship with God and one another. About 6-8 people will meet weekly at the church or in leaders’ homes. Congregation members will be leading these small groups, please join them for what will be an exciting, challenging and meaningful experience. Come and see what the Cross and the Empty Tomb means for us in our daily lives and for the world. Let Jesus turn us, our faith, and our world upside down! All groups start the week of February 18 and continue through the week of March 18. Please contact Pastor Heidi with questions and comments. We look forward to launching this new chance for us to connect with Christ and one another! Come and see!